Interesting article on the development of passive investment products. “There are now so many indexes that putting your money in an index-tracking fund is a move requiring an active decision…” So, even largely passive strategies require some judgement or active management. 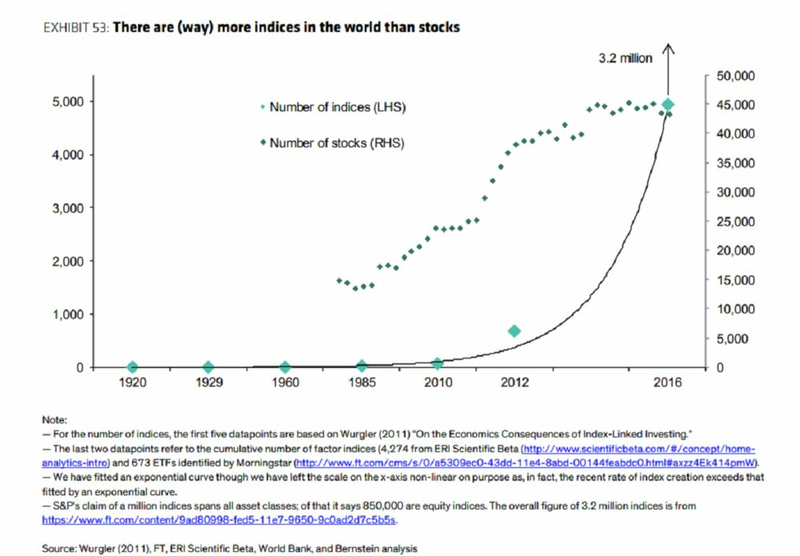 There’s over 3 million indexes and only 3,000 investable stocks in the US. So, as the article says, allocating to passive strategies require some discretionary decision making. For 25 years FastTrackers have used the spreadsheet tool to rank, sort, and analyze both passive and active funds and ETFs. If you’re not using a tool like FastTrack you’re going to have a hard time sorting through the options. Correlation, standard deviations, and ulcer index, Sharpe and UPI are key metrics FastTracker’s use to cut through the noise and build portfolios. With a six figure portfolio, the subscription should pay for itself within the first month. Check in later this week for an analysis on how to analyze/review the free iShares portfolios distributed by BlackRock.